By Keith Cowing on June 30, 2007 6:18 PM. Editor's note: I have an iPhone. What an astonishing device! I bought it at the Tyson's Corner Apple store. Total time to purchase: 5 minutes from the moment when I entered the store. By Keith Cowing on June 29, 2007 6:19 PM. "An attorney for a former astronaut wanted to set the record straight Friday: Lisa Nowak didn't wear diapers during the 950-mile road trip to confront a romantic rival. "The biggest lie in this preposterous tale that has been told is that my client drove from Houston, Texas, to Orlando, Florida, nonstop, wearing a diaper," Donald Lykkebak said after filing motions to suppress evidence in Nowak's criminal case. "That is an absolute fabrication." Editor's note: And it took Nowak's lawyer HOW LONG to reveal this information? By Keith Cowing on June 29, 2007 3:42 AM. "NASA's Mars rover Opportunity is scheduled to begin a descent down a rock-paved slope into the Red Planet's massive Victoria Crater. This latest trek carries real risk for the long-lived robotic explorer, but NASA and the Mars Rover science team expect it to provide valuable science." By Keith Cowing on June 29, 2007 3:40 AM. "Senator Kay Bailey Hutchison (R-TX), Ranking Member of the Senate Commerce Subcommittee on Space, Aeronautics and Related Sciences and Sens. Mary Landrieu (D-LA), Barbara Mikulski (D-MD) and Richard Shelby (R-AL) today pledged to introduce an amendment to the Fiscal Year 2008 Commerce, Justice and Science appropriations bill to provide $1 billion in additional funding for NASA when the bill reaches the Senate floor." "In a letter, the group asked Congress to support an increase to NASAs FY08 budget of $1.4 billion for aerospace research and technology. The budget is currently under review on Capitol Hill." By Keith Cowing on June 29, 2007 2:36 AM. "I used to like JetBlue. Not any more. Just a month and a half ago I found myself on the inaugural flight from San Francisco to New York with Jet Blue's CEO aboard. The service was good that day. But not today. Indeed, today I felt like a prisoner." By Keith Cowing on June 29, 2007 1:59 AM. "Griffin remained firm that JSC will not grow to meet excess demand. He noted that he has been clear in his direction to the mission directorates, but that it is clear from the continuing problem that mission directorates and program and project managers are not working to achieve the same goals. Griffin related his previous experience managing military development programs that were dispersed across dozens of organizations across the country before the days of the high-speed internet. He reported that military space projects got done, with no higher failure rate than at NASA. He directed members to tell program managers they have no choice--four or five centers are not going to go out of business enabling a couple of centers to limit work to their own centers and contractors. Griffin praised SMD Associate Administrator Alan Stern for determining to assign future work to the JPL rather than competing it in order to maintain workforce at the laboratory." By Keith Cowing on June 29, 2007 12:50 AM. From: Anonymous (Goddard Space Flight Center) Question(s): After making the hard and much needed decision to stop moving the Lunar Precursor and Robotics Program office from Center to Center and bring it to HQ to more efficiently manage NASA's programs and projects under severely constrained budget conditions, how do you handle politicians trying to reverse such a decision? With the very aggressive schedule and limited resources of the LRO Project (and presumably the LCROSS Project), acclimating to a new Center program office structure every year or so is terribly unproductive and a strain on already limited project resources, especially when some Centers do not necessarily have the expertise in program management needed to manage such projects, resulting in even more strain on limited resources. One would think that those politicians who confirmed you as Administrator to make the hard decisions and trusted you to do so in the best interest of the Agency and the taxpayers would let you do your job. Continue reading Today's Ask the Administrator Answer. By Keith Cowing on June 28, 2007 12:38 PM. "Explanation: This remarkable image of the space shuttle orbiter Atlantis docked with the International Space Station (ISS) was taken at a range of 190 nautical miles. To record the fast moving pair, last week astronomers at Clay Center Observatory, near Boston, Massachusetts, planet Earth, used a satellite tracking system and 25-inch diameter telescope in combination with a digital video camera." By Keith Cowing on June 28, 2007 12:33 AM. "Senate subcommittees today approved a $32.3 billion spending bill for the Army Corps of Engineers, the Interior Department's Bureau of Reclamation and the Energy Department, and a $54.6 billion spending bill for agencies including the Justice and Commerce departments and NASA. ... Unlike the House bill, the Senate version does not include language blocking NASA from pursuing exploration of Mars." By Keith Cowing on June 28, 2007 12:23 AM. - Changes to subsystem basic technology or architecture (i.e., amine swing beds v. LiO canisters, LIDS vs. probe and cone)"
By Keith Cowing on June 28, 2007 12:02 AM. Anonymous (Langley Research Center): Along with many of my colleagues, I was quite surprised when you canceled the OneNASA initiative along with the statement (to the effect) that its objectives had been satisfied. Reviewing any of the original mission statements for OneNASA, there would appear to be a pretty clear 'disconnect' between the two statements. Admiring the extremely clear and logical thinking (and articulation) you've demonstrated in every speaking forum, I'm wondering if you might expand a bit more on your rationale for this cancellation. Similar to some questions already posted in this forum, I know there was a sincere hope among many of my colleagues at several centers, that we might strive toward eliminating the 'ten stove pipes' in terms of attitudes and practices. By Keith Cowing on June 27, 2007 4:16 PM. "The purpose of this Implementation Plan is to put forward specific messages and initiatives based on the Strategic Communications Framework and recent round of market research and analysis. It reflects the input received throughout the development and briefing process." NASA "base" support, 45-64 year olds, "The Apollo Generation"
By Keith Cowing on June 27, 2007 1:35 PM. "NASA astronauts "twittering" from the moon? It's not such a far-fetched idea, considering the space agency's current push to partner with Web 2.0 companies like Twitter and save itself from turning into a dinosaur in the Internet age. Some executives at the struggling NASA believe that if the agency can adopt Web technologies like Twitter--a social network for broadcasting thoughts online or via text message--then kids and the general public will be more connected to space exploration and inspired to learn about science." By Keith Cowing on June 27, 2007 9:46 AM. From: Raymond Sanders (Johnson Space Center) Date: 07-May-2007 Question(s): If I, as a NASA employee in good standing get involved in some emotional, non lethal altercation and arrested by law enforcements agents in Florida, will NASA quickly dispatch my supervisor in a Government T-38 or equivalent, to represent NASA and assess the matter? By Keith Cowing on June 27, 2007 9:39 AM. "The USSRC Skylab Restoration Effort is still on hold. Nothing has been done in 7 months to save her. This bit of US space history just keeps rotting away. The USSRC wants $2,000,000 dollars for a new building before work to save Skylab can start again. In not much time little will be worth saving." By Keith Cowing on June 26, 2007 2:15 PM. Editor's note: Bobby German has been named Deputy Chief Information Officer at NASA HQ. Also, William Bruner has been named Acting Assistant Administrator for Legislative Affairs. By Keith Cowing on June 26, 2007 1:01 PM. "I was in Colorado and Arizona on June 17-20. I will write more about my meetings there in my next entry. I have been traveling quite a bit in the past few months and there is no sense that it will slow down any time soon. I think these trips are necessary, talking to people outside the beltway to see what their thoughts are about NASA and exploration. But the main purpose has been to focus on fiscal year (FY) 2008 appropriations for NASA." "I am looking for a more direct way to communicate with people inside the agency. There is so much that goes on at headquarters and I want to be able to pull the curtain back on at least some of it and also explain what is going on with new initiatives. I anticipate updating the blog every week - I know, not as routine as many but it's hard even to find time to eat lunch." [Mike Griffin] "Finally, no, I do not read NASAWatch, or any other blog." Editor's note: Gee Mike, you won't even read your own Deputy's blog? By Keith Cowing on June 26, 2007 11:52 AM. "Scenario 1: Sport Sixty miles up, you sit in a chair on the open deck of a small rocket, admiring the stars above, the Earth far, far below. The vacuum beyond your visor is cold, but it would boil your blood if your pressure suit failed. You give your parachute straps a reassuring pat. It's utterly silent. Just you and your fragile body, hovering alone above the Earth. "Space Diver One, you are go," crackles a voice in your ear, and you undo your harness and stand up. There's nothing for it now: You paid a lot of money for this." By Keith Cowing on June 26, 2007 10:44 AM. "When the space shuttle Columbia disintegrated over Texas on Feb. 1, 2003, for example, Bush was consumed with concern for the families of the seven dead astronauts. That left Cheney to make the first critical decisions about the future of manned spaceflight. Even as the vice president and others were grappling with the invasion of Iraq, Cheney crafted a solution to the most pressing problem facing the space program, said former NASA administrator Sean O'Keefe, a Cheney protege." By Keith Cowing on June 26, 2007 10:10 AM. By Keith Cowing on June 25, 2007 8:03 PM. Reader's note: "Keith, I thought you might get a laugh out of this pic. It appears the irony of the situation was lost on the striking workers at KSC. At least the dummy (left - by the road) was smart enough to stay in the shade. Continue reading A Dummy Is On Strike at USA. By Keith Cowing on June 25, 2007 1:32 PM. "A new Small Business Administration policy set to take effect on June 30th will allow NASA to continue to count contracts to Fortune 1000 firms towards their federally mandated 23 percent small business contracting goal. ... Under the new SBA policy, NASA can continue to include awards to firms such as Boeing and Lockheed Martin in their small business contracting statistics until the year 2012." By Keith Cowing on June 25, 2007 12:50 PM. "Rep. Rohrabacher sent a letter to Rep. Mark Udall, Chairman of the Subcommittee on Space and Aeronautics, requesting a hearing to examine the United States' ability to track Near Earth Objects (NEOs) that potentially pose a significant threat to the planet. A March 2007 report released by NASA restated the goals of the current detection program, known as Spaceguard, and described the possible destruction caused if an NEO were to collide with the earth. "At this time," writes Rohrabacher, "our ability to discover and track such objects is woefully inadequate." By Keith Cowing on June 25, 2007 10:01 AM. From: Anonymous (Goddard Space Flight Center): Regarding the letter about experiences on Constellation outreach and public relations on NASAWATCH.com on May 30, 2007, I would recommend that HQ PAO needs to coordinate with all Center PAO offices and educate the public about NASA. Have you develop the plan to communicate directly to public? They are the taxpayers. We need to tell them that NASA has benefits for everyone. Also, do you read posts on NASAWATCH.com? I find it very interesting than what PAO has on NASA website. By Keith Cowing on June 25, 2007 9:07 AM. "A squeeze on funding for satellites to look down on the Earth's environment at a time of growing need for research into the effects of climate change is creating alarm among scientists and on Capitol Hill. The National Aeronautics and Space Administration, renowned for its pioneering role in science, is seeing its science budget shrink and its satellite Earth observation capacity endangered even as the agency's overall mission grows." By Keith Cowing on June 24, 2007 9:20 PM. "Tim Reynolds, operations manager for one of the astronaut-training facilities at the Johnson Space Center, has Flat Gorby images pinned up in his building. 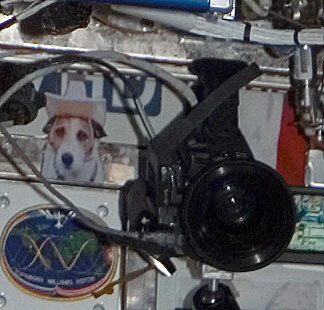 He and his colleagues took a picture with their Flat Gorby and e-mailed it to Williams on the space station. Reynolds understands "Gorbymania." "Gorby is a wild ... terrier with a great personality. Suni loves and misses Gorby just a little less than she misses her husband, Mike, and we know she misses him very much." Continue reading Suni and Gorby Reunited. By Keith Cowing on June 23, 2007 9:31 AM. "But the Alabama visit was also noteworthy for what it didn't include. And what it didn't include was any public gesture to the fact that Huntsville is the home to Redstone Arsenal, a major U.S. Army research and development center, not to mention the fact that the arsenal also houses NASA's Marshall Space Flight Center." Reader's earlier note: "Keith: Looks like President Bush is coming to Huntsville Thursday (6/21) for a visit! He's landing in Huntsville, AKA Rocket City, but going to the Browns Ferry nuclear facility to check out a broken down reactor. So much for supporting NASA at the Marshall Space Flight Center! And, to top it off the Shuttle is landing the same day he arrives and I believe visiting Marshall would have spoken volumes in terms of his support for the space program. I think Griffin may have angered him about the global warming issue a couple of weeks ago. I noticed that on the White House web site you can't find much, if any, information on the New Vision. It appears to be another "slap in the face" for the vision..."
By Keith Cowing on June 22, 2007 4:01 PM. "STS-117 Commander Rick Sturckow and Pilot Lee Archambault landed space shuttle Atlantis at 3:49 p.m. at Edwards Air Force Base in California. Atlantis' flight path brought it over San Diego and just east of Los Angeles before it touched down at Edwards where it was greeted by fair skies and light winds." By Keith Cowing on June 22, 2007 1:19 PM. Editor's note: I just got a call from some producer at Fox news. She said "we're looking for critics to go on Neil Cavuto's show at 4:00 pm topday who are critics of NASA and think that it should be shut down. Is that you guys?" I declined. Gee, you'd think that they'd do a little more research. I could have said yes and then gone in to the studio and ruined the "balance" of their broadcast. By Keith Cowing on June 21, 2007 3:38 PM. "Senator Barbara A. Mikulski (D-Md.) today expressed disappointment at the tepid response she has received from the White House on her request that President Bush convene a bipartisan, bicameral space summit with the White House to address the future of Americas space program and the challenges it faces. Senator Mikulski is Chairman of the Commerce, Justice, Science (CJS) Appropriations Subcommittee that funds NASA." "We are deeply disappointed that the President has decided not to seize the opportunity to meet with Members of Congress to discuss how best to ensure that NASA will have the resources needed to carry out a balanced and robust program of science, aeronautics, and human space flight and exploration initiatives. ""We intend to work with NASA supporters on both sides of the aisle in Congress to try to give NASA the resources it will need to carry out the tasks that the nation has asked it to undertake. However, the President's disengagement will make that effort immeasurably more difficult." By Keith Cowing on June 21, 2007 1:54 PM. "The STS-117 crew is getting an extra day in space thanks to poor weather conditions at Kennedy Space Center, Fla. Space shuttle Atlantis has four landing opportunities available Friday, with the first at 2:16 p.m. EDT in Florida. Thunderstorms in the vicinity of Kennedy forced flight controllers to wave off both opportunities today. Controllers and the Spaceflight Meteorology Group will closely monitor forecasts for Friday's opportunities in Florida and at Edwards Air Force Base in California." By Keith Cowing on June 21, 2007 12:46 PM. "A real rocket race is on the horizon with the return of the Northrop Grumman Lunar Lander Challenge -- the centerpiece of the Wirefly X PRIZE Cup and Holloman Air and Space Expo. In the Challenge's second year, the number of teams competing for the $2 million purse has increased from four teams to nine. The NG-LLC, sponsored by NASA's Centennial Challenges Program, is designed to accelerate commercial development of technology that can ferry cargo and humans between the moon's surface and lunar orbit." By Keith Cowing on June 21, 2007 8:28 AM. "Despite calls for Cobb's resignation, Miller said that Clay Johnson III, a deputy director at the Office of Management and Budget and chairman of an interagency inspector general council, had left disciplinary action up to the new head of NASA, Michael D. Griffin. This renewed questions about whether Cobb could act independently in the interests of taxpayers. Johnson called Miller's assertions "totally wrong," saying that the administration had not dumbed down inspectors general and that the quality of their work was as high as ever." By Keith Cowing on June 20, 2007 10:34 PM. "NASA said on Wednesday it "made a mistake" in its calculations about a tear in space shuttle Atlantis' heat protection, but that it should not prevent the ship's safe return to earth. Deputy shuttle program manager John Shannon told reporters that NASA engineers believe an area beneath a torn heat-resistant blanket near the shuttle's tail had gotten hotter than they first thought during Atlantis' launch into space on June 8." By Keith Cowing on June 20, 2007 9:02 PM. His name is Gorby, and he's a little diplomat - Who wouldn't miss a pet? Suni Williams's Jack Russell terrier is named Gorby, perfect for a master who has spent months with Russian cosmonauts in orbit. Gorby is named after former Soviet leader Mikhail Gorbechev (both dog and namesake share a spot on their head). In a May 17 NASA video conversation, she exclaimed in joy after "seeing'' her earthbound pet. "You guys know I really miss him,'' she told NASA employees, according to a transcript on spaceref.com. "That's no moon! That's a space station!" By Keith Cowing on June 20, 2007 3:48 PM. Editor's note: I was just listening to an interview between CNN's Miles O'Brien and the crew of Space Shuttle Atlantis. He mentioned something about "tie fighters" being seen with the space station. Sure enough, I checked NASA TV and there they were. By Keith Cowing on June 20, 2007 3:30 PM. 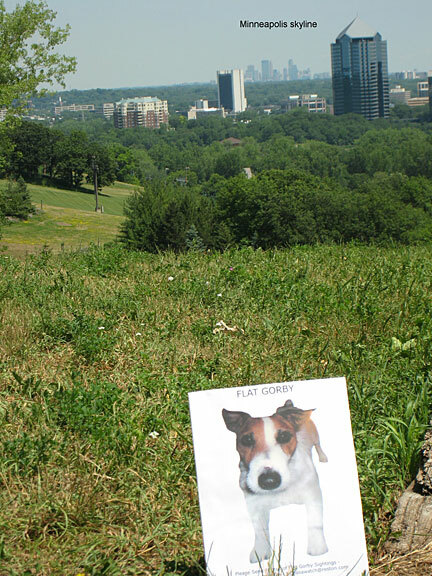 [click to enlarge] Reader note: "Hi Keith, Flat Gorby had a great time tagging along with me on a trail run near Minneapolis yesterday - we visited Hyland Lake park in Bloomington, MN. We saw white tail deer, 2 bald eagles, got dive bombed by swallows, watched Canada geese and wood duck families paddle around on ponds, and even got chased by an ornery wild turkey (not kidding). The photo is from the top of a hill where we took a water break and admired the view of the Minneapolis skyline in the distance. Flat Gorby seemed to enjoy himself, although I'm sure he'd rather be running on a beach with Mom. - Blue skies, Kel"
By Keith Cowing on June 20, 2007 2:10 PM. "Effective July 7th, the Canadian Astronaut Office is being disbanded. Steve MacLean, as Chief Astronaut for the next year, will coordinate the activities of the Canadian Astronaut Corps and will report directly to Benoit Marcotte, Director General of Operations and Assets. This change will better integrate astronaut programs and activities with other space operations such as the International Space Station." By Keith Cowing on June 19, 2007 9:35 PM. Editor's note: Some of the pictures coming back from space today have a special significance for me, and, as I correctly anticipated, a number of my friends who have also worked on the space station program over the years - regardless of which name it is/was called. As far back as the late 1980s, the image we were working toward in all of our minds, was a large, symmetrical stucture - like a giant gossamer dragonfly, swooping through space. Until today, the station's wings always seemed to be wrong - stunted or folded - with everything taking on a tentative look and feel. With this shuttle flight the space station now looks the way many of us have always envisioned it - a thing of beauty - and potential. By Keith Cowing on June 19, 2007 5:51 PM. "Regardless of who flies to the Moon and beyond, space exploration would not move forward without Colorado. Colorado has the Nation's third-largest space economy in terms of employment. More than 164,000 Coloradans have space-industry related jobs. This past fiscal year, NASA awarded nearly three-quarters of a billion dollars in contracts and grants to Colorado. Small entrepreneurs call this state home, and so do major space contractors. Colorado's university programs produce scientists, engineers, and astronauts." Editor's note: It is certainly nice to see NASA officials speaking to people in states who benefit the most from its spending - its good to let folks see that NASA can provide value to the populace and the economy. But it is becoming rather obvious at the same time that NASA is shying away from speeches aimed at sectors of the population, the country, and the economy where NASA's role is less appreciated and/or understood. But I have to wonder why NASA wastes time on choir practice among those who need no convincing of NASA's value. Why not seek out speaking venues in places where NASA's greatest challenge to establish its relevancy still exists? If NASA really does inspire students, for example, then why not pick a state where spending on education is low or test grades are below the national average - you know, the sort of place that could really use NASA's much-hyped power to inspire? Maybe NASA could do a poll and see where the "we didn't land on the Moon" urban legend is the most pervasive and focus on those hot spots of doubt. And if NASA is really as good for our nation's economy as it claims, then why not pick out some economically depressed areas and take NASA's message there? Or is it that NASA really doesn't have anything to say to the people who might benefit most from what it claims to offer - or is NASA afraid to hear things that don't mesh with its internally developed "one size fits all" talking points and "messages"? By Keith Cowing on June 19, 2007 2:03 PM. "NASA and The Reader's Digest National Word Power Challenge announced a partnership to improve science literacy in America by integrating science, technology, engineering and math (STEM) vocabulary into the nation's premier vocabulary competition: the Reader's Digest National Word Power Challenge. This year's competition took place in Orlando, Florida. A television special based on the National Word Power Challenge will be broadcast on NBC stations this summer, hosted by Al Roker of NBC's Today Show." Editor's note: Great idea. Alas, there is no mention of this project on NASA's Education page. I guess these sorts of things are not a priority with the NASA HQ Strategic Communications folks (who oversee education) - even if their NASA Message Construct says "Space exploration engages and inspires the public and encourages students to pursue studies in challenging, high-tech fields. Space exploration contributes to our Nation's economic competitiveness by helping to build and maintain a skilled, high-tech workforce. Going to the Moon and Mars will be a stunning achievement and enduring legacy to future generations of our desire to explore, learn, and progress." By Keith Cowing on June 19, 2007 11:18 AM. "STS-117's constructive stay at the International Space Station came to a close today when space shuttle Atlantis undocked. The two spacecraft parted ways at 10:42 a.m. EDT as they flew over the Coral Sea northeast of Australia. After Pilot Lee Archambault backs the orbiter 450 feet from the station, he will perform a full fly-around to allow crew members to collect video and imagery of the station and its newly expanded solar wings. He will perform the final separation engine burn at 12:25 p.m."
By Keith Cowing on June 19, 2007 10:32 AM. "It might be reasonable to accept that this was only a faux pas by a blunt, bright guy who likes to be unconventional. Indeed, Griffin has expressed regret about his comments. But that misses a greater point - this was a major opportunity to promote his agency, the U.S. space program and their value to the public at large. He downplayed one of NASA's most valued and widely recognized functions - teaching us about our own planet and monitoring it from the unique vantage of space. In doing so, Griffin also undermined public support for his most cherished program - the Vision for Space Exploration." Editor's note: NASA's response? Well, their Strategic Communications operation just hopes things like this will go away. If you look at their NASA Message Construct all you get are partial, generic ideas contained in stilted sentences - including what to say in a proverbial "Elevator Speech" with someone (I am guessing here) who wants to know what NASA does. After reading this, I have to say that if I were just a regular person off the street, I'd be confused (and a little nervous) if someone from NASA just started talking about this stuff in an elevator. I wonder what this NASA person's response would be to a question from a taxpayer about Mike Griffin's dumb comments about global warming? If they adhere to this agency guidance, they'd have no answer. By Keith Cowing on June 18, 2007 3:07 PM. "Through three new Space Act agreements, NASA is expanding cooperation with companies interested in commercializing access to space. The companies are developing capabilities to transport goods and people to low Earth orbit. NASA signed nonreimbursable Space Act agreements, which do not provide any government funding to the companies, with SpaceDev of Poway, Calif., SPACEHAB of Houston, and Constellation Services International (CSI) of Laguna Woods, Calif. The pacts establish milestones and objective criteria by which the companies can gauge their progress in developing orbital cargo transportation capabilities." By Keith Cowing on June 18, 2007 2:21 PM. "According to OSTP, it does not conduct scientific research on its own nor does it formulate or directly oversee the development of dissemination policies or decisions at individual agencies. However, OSTP has publicly affirmed the value of science as a basis for federal action and recognizes the importance of timely, complete, and accurate communication of scientific information. The OSTP Director has on several occasions asked the leaders and chief scientists of federal agencies to develop, revise, or reemphasize their dissemination policies and to ensure that agency employees and managers understand their rights and obligations under these policies. The director has cited NASA's media policy as a model for other agencies to consider in developing their own dissemination policies." By Keith Cowing on June 18, 2007 1:31 PM. "When he destroyed the records, Wholley knew that Cobb's work and Griffin's response to the resulting problems were under scrutiny by the House Science Committee, according to the congressmen's letter. The congressional staff reconstruction of the incident stated that Griffin had used the videotaped teleconference to defend Cobbs' actions, the lawmakers wrote." By Keith Cowing on June 16, 2007 10:16 PM. "In a continuing improvement of the onboard Russian computer system, all six channels are now operating in the two Russian command-and-control and the guidance-and-navigation computers that stopped operating three days ago. During a news briefing from the Johnson Space Center Saturday afternoon, International Space Station Program Manager Michael Suffredini said, "We're having a great day on orbit today." Yesterday, station Commander Fyodor Yurchikhin and Flight Engineer Oleg Kotov were able to reenable four of the six channels in the computer systems after bypassing what appears to be a faulty power switch with external cabling." By Keith Cowing on June 16, 2007 12:23 PM. "The primary mission objectives for the Demo Flight 2 mission, both programmatic and technical, were met by this return to flight. The vehicle attained a peak altitude of 289 km, 5.1 km/s maximum velocity and remained in the center of the intended ground track throughout flight. An upper stage control anomaly, however, ultimately prevented it from reaching orbital velocity, an important, but secondary mission objective. .. Although eight anomalies have been identified (described in Section 3) by post-flight data analysis, the upper stage control anomaly was the only known issue that prevented this mission from achieving orbit." By Keith Cowing on June 16, 2007 9:33 AM. "Russian cosmonauts made progress yesterday in restoring service on their essential computers on the international space station, using a jumper cable to bypass a malfunctioning power switch. Four of the six computer "channels" were restored yesterday afternoon, according to NASA spokeswoman Brandi Dean. She said that it remains unclear whether they will continue to operate but that officials are optimistic." By Keith Cowing on June 15, 2007 8:47 PM. "Two top secret National Reconnaissance Office (NRO) ocean surveillance spacecraft were fired into the wrong orbit June 15 when the 200-foot-tall Atlas V rocket they were riding on stopped firing too early in space following launch from Cape Canaveral, Fla. The top secret satellites separated safely from the malfunctioning booster, however, and have enough rocket propellant to continue their mission, an official said on background." By Keith Cowing on June 15, 2007 10:38 AM. "NASA is investigating a minor mishap affecting the Dawn spacecraft. On June 11, during a procedure to prepare the spacecraft for spin-balance testing, the back of a solar array panel was slightly damaged by a technician's tool. No solar cells were broken. The necessary minor repairs will be made this weekend. There is no impact to the launch date of July 7." By Keith Cowing on June 15, 2007 7:47 AM. "Our nation now faces a similar gap in manned space flight if our political and congressional leaders dont act soon. In 2010, after completing the assembly of the space station and restoring the Hubble space telescope to many more years of scientific achievement, the shuttle fleet will stand down, initiating a more than four-year hiatus in U.S. human access to space." By Keith Cowing on June 15, 2007 7:38 AM. "The problem is not serious as long as the shuttle Atlantis remains docked because the orbiter's thrusters can be used, when needed, to make adjustments that are beyond the ability of the gyros or when the gyro system needs to be reset. But the shuttle will undock and return to Earth next week and the Russians have been working around the clock to get the computer glitches resolved before the orbiter departs." By Keith Cowing on June 14, 2007 7:21 PM. "By this letter, we are referring Michael Wholley, the general counsel of the National Aeronautics and Space Administration (NASA), to the Department of Justice for investigation into and possible prosecution for obstruction of justice and destruction of government records under 18 U.S.C. 1505, 18 U.S.C. 1512(c) and 18 U.S.C. 2071." "In an interview with The Associated Press last week, Griffin said he fully supported Wholley. Griffin said he didn't believe Wholley did anything illegal, but he might have made a mistake in how the destruction of the CDs would be perceived politically. "What Mike did is break up a few CDs," Griffin said. "We use these CDs like popcorn. I'm sure he is happy to replace the CDs he broke with other CDs." Editor's note: Hey, great idea Mike! NASA's chief lawyer can just replace those pesky smashed CDs with new ones, and everything will be OK, right? Gee, I hate to break it to you Mike, while there certainly is some politics in all of this, this is also very much a legal issue now. Read the letter Sensenbrenner and Miller sent to Gonzales - there's sure a lot of lawyer talk in it. By Keith Cowing on June 14, 2007 5:27 PM. "On Monday, June 11, 2007, a contractor employee accidentally sent an email to 39 recipients at Ames with an attachment containing Personally Identifiable Information (PII) for 426 other Ames contractor employees. The affected employees work for seven organizations under contract to NASA Ames. The companies are: QSS, Tessada, EASI, Eloret, Foothill Community College District, Weigel and Oak Ridge Associated Universities." Continue reading ARC Personally Identifiable Information (PII) Incident. By Keith Cowing on June 14, 2007 2:16 PM. "There are bad ideas, and then there are true historic stinkers. Put the International Space Station in that second category. Today, the most underachieving machine NASA ever dreamed up got into trouble again, when computers that control the stations oxygen, water supply and orientation failed." By Keith Cowing on June 14, 2007 1:51 PM. Editor's note: NASA's Associate Administrator for Space Operations, Bill Gerstenmaier, will hold a 30-minute mission status briefing today at 2:30 p.m. EDT/1:30 p.m. CDT from NASA's Johnson Space Center.This will air on NASA TV. By Keith Cowing on June 14, 2007 12:02 PM. "United Space Alliance is disappointed that employees represented by the International Association of Machinists and Aerospace Workers have begun a strike action against the company. We believe our final contract offer was fair, competitive and responsive to union concerns, and we had hoped to reach an equitable agreement during our meeting with the IAM negotiating team on June 13. Unfortunately, the union's demands were well beyond what the company felt was reasonable or warranted. We continue to hope that the IAM members will reconsider their position." By Keith Cowing on June 14, 2007 11:13 AM. "Scientists in Costa Rica have run a plasma rocket engine continuously for a record of more than four hours, the latest achievement in a mission to cut costs and travel time for spacecraft. The Ad Astra Rocket Company, led by Costa Rican-born former NASA astronaut Franklin Chang-Diaz, said on Wednesday it hopes to use its rocket engines to stabilize space stations in a few years, and then to power a trip to Mars within two decades." By Keith Cowing on June 14, 2007 11:10 AM. "A major computer failure in the Russian segment of the international space station, possibly triggered by the addition of new U.S. solar arrays earlier this week, has shut down critical systems and left the outpost dependent on the shuttle Atlantis for any major changes in orientation. The space station has plenty of supplies on board and the combined 10-member crew is in no immediate danger. But the space station cannot safely operate without the Russian computers and the problem must be resolved before Atlantis departs next week." "U.S. and Russian flight controllers partially restored critical computers aboard the International Space Station on Thursday after a system crash that could have forced the $100 billion orbital outpost's crew back to Earth. NASA also made plans to keep the visiting space shuttle Atlantis attached to the station for an additional day to help steer the massive complex if the computers, which control navigation, remain a problem." By Keith Cowing on June 13, 2007 9:00 PM. Editor's Update: According to NASA Associate Administrator for Space Science Alan Stern, when contacted for comment: "DAWN was slightly damaged Monday by a tech's tool. The damage was to the back side of a solar array. It affects a tiny area and looks like it can be repaired without delaying the 7 July LRD. This is an exciting NASA science mission that promises to unlock new details about the origin of the asteroid belt and dwarf planets. We are pressing forward to launch, ever vigilant as we go forward." Continue reading Dawn Spacecraft Slightly Damaged. By Keith Cowing on June 13, 2007 4:30 PM. "European aerospace company EADS on Wednesday unveiled a model of a jet designed to take tourists into space, rocketing paying passengers to weightlessness at more than 62 miles above the Earth. EADS Astrium said it hoped the space jet which looks much like a conventional aircraft although it is outfitted with rocket engines will be operational by next year, with the first flight scheduled for 2012. Tickets are expected to cost $199,000-$265,000, said the company, which displayed a full-scale model in Paris." By Keith Cowing on June 13, 2007 4:29 PM. "I think that the odds are against it mainly because piloted spaceflight is expensive and difficult. I think that its inevitable that, assuming any tourist spacecraft are built, one will fail early on and kill its wealthy passengers. When it does, the fledgling industry will die ... Newspace people like to use the early days of aviation as an analogy, but it doesnt make sense. Aviation worked because it provided a better way of accomplishing something people wanted done; that is, traveling quickly to and from cities and countries where they had business. Tourist spaceflight wont do anything similar any time soon." Editor's note: People dismissed air travel (and train travel) in similarly disparaging terms when these new modes of transportation - to new destinations - were just emerging. This historian clearly hasn't read very much history. You can bury your head back in the sand now, David. Continue reading A Remarkably Ignorant Posting from a Former NASA History Writer. By Keith Cowing on June 13, 2007 4:19 PM. "In NASA, we have provided an increase of $290 million above the President's request to restore cuts made by the Administration in the science, aeronautics and education portfolios. The committee also provides funding in a new account structure to add clarity to the budget. The new accounts are: science, aeronautics, exploration, education, cross-agency support programs, space operations, and the inspector general." By Keith Cowing on June 13, 2007 9:28 AM. "Cleveland and Brook Park firefighters are battling a blaze at NASA Glenn Research Center in Cleveland. There are reports of a fire in Building 11 at the space agency. Officials said that the building was under construction." By Keith Cowing on June 13, 2007 8:51 AM. "Excerpts from the log of the Russian cosmonaut Fyodor Yurchikhin: April 16--Suni Williams competed in the Boston Marathon on our treadmill. Although she did not win, she said that she enjoyed the "fresh air" and "being outside." NASA is very pleased with us for finally doing something that people on Earth aren't horrified by. April 19--Today, Suni used the StairMaster to begin climbing Mt. Everest ...."
By Keith Cowing on June 12, 2007 4:38 PM. "If confirmed, the existence of such ponds would significantly boost the odds that living organisms could survive on or near the surface of Mars, says physicist Ron Levin, the report's lead author, who works in advanced image processing at the aerospace company Lockheed Martin in Arizona." "The white square shows you where the image comes from. It's in the middle of Opportunity's Burns Cliff panorama, on some of the steepest slopes that Opportunity saw before arriving at Victoria crater! Those can't be puddles -- unless the amazing "liquid" that puddles here on Mars in a freezing near-vacuum also has antigravity properties. A less sensational hypothesis is that the smooth "fluid" that fills local lows between rocks on this sloping surface is fine dust." It's kind of astonishing to me that anyone could present a paper of this nature without having checked the spatial context. They must have assumed that the surface that the rover was observing was horizontal, like so many surfaces in Meridiani Planum. It may even have been "horizontal" with respect to the rover's deck -- but the rover was sitting on the same slope that it was photographing at the time the images were taken. It shows you how dangerous it can be to attempt to do science from partial data." Editor's note: Emily Lakdawalla has deftly demolished this latest claim by the Levin family. If I get this right, Ron Levin apparently did not bother to learn that the photo he thought was a flat portion of the Martian surface with a puddle is actually a photo of a sloping cliff inside a crater. And Lockheed Martin pays this guy to do their imagery? That's a little scary to contemplate. I wonder why such "discoveries" by the Levin family never manage to appear in professional, peer-reviewed scientific journals - and end up in engineering journals - and sometimes only in meeting abstracts - instead? "I want to retract the claim in the paper that the smooth area we discussed was 'standing liquid water'," Levin acknowledged on Tuesday. "I am sorry that we made such a large mistake." By Keith Cowing on June 12, 2007 1:09 PM. "The Northrop Grumman Foundation announced today that it will sponsor the national Weightless Flights of Discovery, an innovative science and engineering education program that incorporates zero gravity flight experiences for teachers. This year's program will also include university students planning careers as teachers. The Northrop Grumman Foundation Weightless Flights of Discovery will operate out of eight cities across the United States from August through December 2007. The program utilizes hands-on science workshops and Zero Gravity Corporation's (ZERO-G(R)) unique weightless flights to help educators teach students to share the fun and excitement of science, technology, engineering and math." By Keith Cowing on June 12, 2007 12:12 PM. 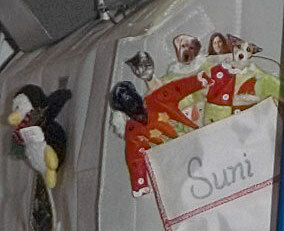 Editor's note: If you look closely at this recent ISS photo you will see Gorby in a cowboy hat in the upper left hand corner and a Christmas stocking filled with Gorby and his friends to the right of Suni Williams' face. By Keith Cowing on June 12, 2007 12:11 PM. Flat Gorby Sighting in Glasgow, NASA Edge - "Photo: Flat Gorby near a simulated planetary landscape located in the Electrical Engineering Department at the University of Strathclyde." By Keith Cowing on June 12, 2007 10:08 AM. "Noted astrobiologist Imre Friedmann died yesterday morning. Friedmann's main interest was the microbial ecology of absolute extreme environments - how life adapts to some of the harshest locations on Earth - and what this says for the possibility that life can exist in similar locations on other worlds. This research required many field trips to some of the harshest locations on our planet. Also, of note, Friedmann guided the developing careers of many of today's leading astrobiologists." By Keith Cowing on June 12, 2007 9:19 AM. Editor's note: Over the past several weeks I have had an opportunity to talk with people who are working space policy - and related issues - for both Democratic and Republican presidential candidates and party organizations. One common theme is readily apparent (so far) - on both sides: a greater use of private sector solutions - i.e. the use of commercial launch vehicles - specifically EELVs - as the launch vehicle of choice for the CEV. No one seems to be all that fond of continuing the development of Ares 1 (a government-owned solution) or the cost of developing something that already exists i.e. something you can buy now (EELVs). Of course, much can change between now and the election - and who will run NASA in 2009. But the writing on the wall is starting to become rather clear. Editor's update: Contrary to what some of the space chat pages would suggest in response to this post last night, the individuals I have spoken with are not other space chat site posters whose opinions are pulled out of thin air. Rather, these are individuals, many of whom who work here in Washington, DC with significant positions in government, politics, industry, and academia. Many are seasoned political and campaign veterans. By Keith Cowing on June 11, 2007 6:33 PM. "Administrator Michael Griffin and Deputy Administrator Shana Dale will host a NASA Update tomorrow at 1 p.m. EDT in the Headquarters auditorium. The program will be broadcast live on NASA TV and will be available on the Internet. During the program, employees will be able to ask questions from Headquarters and participating centers. Employees may also e-mail questions in advance to: nasaupdate@hq.nasa.gov"
By Keith Cowing on June 11, 2007 1:15 PM. Editor's note: NASA's Associate Administrator for Legislative Affairs, Brian Chase, will be leaving the agency soon to go run the Dallas office of Rep. Jeb Hensarling (R-TX). Brian often had one thankless task after another thrown at him and is to be commended for putting his heart and soul into his job. In addition, longtime NASA Headquarters Deputy Chief of Staff and White House Liaison J. T. Jezierski will be leaving NASA soon to go work for Mitt Romney's presidential campaign. Much of what J.T. did was not glamorous but it was highly critical to how the agency functioned - even if few people ever even knew what he did. I sincerely wish both Brian and J.T. well after their tours of duty at NASA. "We hear some people were lost in the stars"
By Keith Cowing on June 10, 2007 7:56 PM. "Tanzania -- One of the last remaining tribes of hunter-gatherers on the planet is on the verge of vanishing into the modern world. .... [Gonga Petro] did impersonations in a high, shrill voice of various researchers he's met over the years. And he looked up and asked about stories he'd heard of people going to the moon. "We hear some people were lost in the stars," he said. "Is this true?" By Keith Cowing on June 10, 2007 5:26 PM. "Space Shuttle Atlantis and the STS-117 crew arrived at the International Space Station at 3:36 p.m. EDT, delivering a new truss segment and crew member to the orbital outpost. The STS-117 astronauts and the station's Expedition 15 crew conducted pressure and leak checks before the hatches between the spacecraft were opened. After the crews greeted each other, they quickly began joint operations." By Keith Cowing on June 10, 2007 2:34 PM. "In a glimpse of what his candidacy might look like, he said he would ... offer a $20 billion reward for the first private company that successfully completes a Mars mission. "Somebody would be there and back about 40 percent of the way into the NASA process," he said." By Keith Cowing on June 9, 2007 7:55 PM. 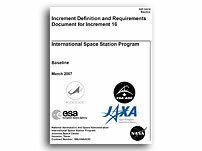 Editor's note: These two documents should give you a good idea as to what will be happening aboard the International Space Station for the next six months or so. By Keith Cowing on June 9, 2007 7:18 PM. reader note: "The trailer for "Invasion" (Nicole Kidman, Daniel Craig) has the shuttle bringing an alien virus back to Earth, which takes over the minds of everyone it infects. The trailer starts with a CGI breakup of the shuttle on reentry, then shows what appears to be real news footage [debris] from the Columbia accident.NASA logos figure prominently. The level of technical accuracy is demonstrated by the main engines running during reentry. This seems like exactly the sort of thing that NASA PAO (at least in their own minds) exists to prevent.When they deny information or a press pass to someone who is actually enthusiastic about the space program because it might not portray the image they want, a movie trailer like this puts that action into perspective." Continue reading Today's video: "Invasion" trailer - NASA logos and Bad Taste. By Keith Cowing on June 8, 2007 4:57 PM. By Keith Cowing on June 8, 2007 4:07 PM. "NASA CoLab is a Collaborative Space Exploration Laboratory being developed at NASA. CoLab will provide a framework for exciting partnership ... all projects between the nation's space program and the thriving technology-entrepreneurial community. In addition to the benefits to collaborating with intellectual assets of the technology business sector, the general public will benefit through various projects supporting the NASA's goals." Continue reading Today's video: Pete Worden Speaks about CoLab in Second Life. By Keith Cowing on June 8, 2007 9:07 AM. "The National Polar-orbiting Operational Environmental Satellite System (NPOESS) is a tri- agency acquisition--managed by the Departments of Commerce and Defense and the National Aeronautics and Space Administration--which experienced escalating costs, schedule delays, and technical difficulties. " By Keith Cowing on June 8, 2007 8:59 AM. By Keith Cowing on June 7, 2007 4:08 PM. By Keith Cowing on June 7, 2007 1:10 PM. "The X PRIZE Foundation has announced a new education competition designed to cultivate interest and excitement in the fields of space, science and technology. The Pete Conrad Spirit of Innovation Award, named in honor of the celebrated American astronaut, will be presented for the first time at this year's Wirefly X PRIZE Cup in October. The award will be presented to the high school team that develops the most creative, new space concept to benefit the emerging personal spaceflight industry." By Keith Cowing on June 7, 2007 10:56 AM. Editor's note: A live webcast link should appear here on this Senate Subcommittee on Space, Aeronautics and Related Sciences page close to the start of the hearing. If you go to the House Science & Technology website there is a live hearing link in the upper right hand corner of this page. You can also go here and click on the audio feed for SR-253. Unlike all other hearings where NASA personnel testify, NASA TV will apparently not be carrying this hearing live. I wonder why - since they now have 4 TV channels to chose from. Editor's note: Even though the NASA IG's prepared statement and back up materials have been online at NASA for nearly 48 hours, neither the House Science and Technology Committee or the Senate Subcommittee on Space, Aeronautics and Related Sciences have even bothered to link to it on their respective websites. Griffin Makes It On Colbert Report- Twice! By Keith Cowing on June 7, 2007 8:33 AM. Editor's note: Stephen Colbert has refered to Mike Griffin's global warming comments twice this week. This is what he said on Tuesday. This is from 'Colbert Report: Mission Control' on Comedy Central's MotherLoad, (broadband video channel). By Keith Cowing on June 6, 2007 7:00 PM. "Sen. Hillary Rodham Clinton's Presidential campaign held an "Issues Forum & Breakfast" this morning in Washington, DC. at the Hyatt Regency Washington on Capitol Hill - and space policy was on the agenda. Among the breakout sessions was one titled "Commercial & Civil Aerospace" which was led and hosted by former NASA Policy and Plans Associate Administrator Lori Garver. Former NASA Public Affairs Associate Administrator Glenn Mahone also participated as a moderator." By Keith Cowing on June 6, 2007 5:39 PM. "Live webcast clips from the Yuri's Night Party at the NASA Ames Facility on April 13, 2007"
Continue reading Today's YouTube video: Yuri's Night Party at NASA Ames 2007. By Keith Cowing on June 6, 2007 4:22 PM. "Several aired their frustration to NASA Administrator Michael Griffin on Monday during an hour-long, all-hands meeting at the lab that was closed to the public and media. Griffin apologized to those who found the new system intrusive but said that it was a "privilege to work within the federal system, not a right" and that he would carry out the order unless it was overturned in court, according to a video of the meeting obtained by The Associated Press. Griffin said he had no qualms about giving up personal information. "I'm sorry if it sounds to you that I've surrendered to the dark side. I don't see it that way," he said." By Keith Cowing on June 6, 2007 8:51 AM. "NASA administrator Michael Griffin said in the closed-door meeting Monday at the Jet Propulsion Laboratory in Pasadena that "unfortunately, this is an issue which has become far more political than technical and it would have been well for me to have stayed out of it." "All I can really do is apologize to all you guys ... I feel badly that I caused this amount of controversy over something like this," he said." By Keith Cowing on June 6, 2007 8:50 AM. "Poor NASA, it can't catch a break. The space shuttle Atlantis was due to launch three months ago when a sudden hail storm damaged its external fuel tank. Now, NASA is hoping that the repaired spacecraft will launch Friday without more dark clouds appearing to further tarnish the agency's image. NASA has been a favorite punching bag of politicians, pundits and special interest groups. Some decry a lack of devotion to fighting global warming a controversy assisted recently by NASA chief Michael Griffin's comment that he was not sure it was "a problem we must wrestle with." Others see in NASA's commitment to manned space exploration a misplaced romanticism, while still others deplore a lack of emphasis on basic science." By Keith Cowing on June 5, 2007 10:49 PM. "On Saturday, June 2, the JP Aerospace team set up shop in the Nevada desert. Two platforms, Away 32 and Away 33, were carried aloft by balloon. These platforms were loaded. Each one was performing multiple tests and accomplished multiple mission objectives. Away 32 was the first in the air. It reached 94,000 feet with a fast climb rate of 1,300 feet per minute." By Keith Cowing on June 5, 2007 4:08 PM. "That the [Presidents Council on Integrity and Efficiency] PCIE Chair determined the matter did not warrant referral to the White House and that NASA, in contemplating whether any action should be taken, would challenge conclusions of the IC is not surprising because the ICs negative conclusions do not withstand reasonable examination. This is fundamentally because the ICs [Integrity Committee] criticisms are not based on facts or law and are wrong. They are wrong as the result of an investigation flawed in design and execution and without respect for even the most basic notions of due process and fairnessor compliance with law and procedural requirements. [See Exhibit B for detail]"
[Exhibit H, pg. 3] "... this issue was raised by a Senator in a letter to the Administrator asking for an investigation of the IG; in the guise of a Senate oversight and presumably without the knowledge of the Senator, a NASA Langley employee detailed to the Senator's office began calling NASA OIG employees in the fall of 2005 to ask "do you have anything negative to say about the NASA IG"...."
By Keith Cowing on June 5, 2007 1:29 PM. "A nearly 400-year-old metal cargo tag bearing the words "Yames Towne" and some commemorative mementoes are packed in Atlantis' middeck floor cargo space for the roundtrip flight to the International Space Station. Their hitchhike through the galaxy honors this year's 400th anniversary of Jamestown, Va., the first permanent English settlement in North America." By Keith Cowing on June 5, 2007 11:47 AM. "The long-planned hearing will mark the first opportunity Congress has been given to question Inspector General Robert W. Cobb since an executive branch oversight panel found he had created an "abusive work environment" and "an appearance of a lack of independence" from the agency he is supposed to monitor." America's Retreat From Earth Monitoring? By Keith Cowing on June 5, 2007 11:35 AM. "The Bush administration is drastically scaling back efforts to measure global warming from space, just as the president tries to convince the world that the U.S. is ready to take the lead in reducing greenhouse gases. A confidential report to the White House, obtained by The Associated Press, warns that U.S. scientists will soon lose much of their ability to monitor warming from space using a costly and problem-plagued satellite initiative begun more than a decade ago." By Keith Cowing on June 5, 2007 11:30 AM. "A new report from the National Research Council examines the scientific challenges and opportunities for the robotic and human exploration of the moon planned for the next two decades and beyond. An interim report released last year outlined the key recommendations from the authoring committee. This final report provides additional details and prioritizes science goals for near-term missions." By Keith Cowing on June 5, 2007 8:52 AM. "Dear Gregg, Your recent piece in Wired made the assertion that NASA's priorities are misplaced. It was a thoughtful piece, but we respectfully disagree. Let's begin with the obvious. Your list of four priorities conspicuously ignores the human exploration of space. The American public, in contrast, believes that human space exploration should be at the heart of NASA's efforts. That finding is consistent in poll after poll for the past forty years. No matter how much you disagree with your fellow citizens who foot the bill (and you have been disagreeing with them for many years), your opinion is in the minority." By Keith Cowing on June 4, 2007 7:11 PM. Question(s): As you are no doubt aware, a recent Washington Post article entitled, 'Cutbacks Impede Climate Studies', describes Earth Science research funding cuts that impact Earth Science research. It is my understanding that many people on our home planet believe that Global Warming/Climate Change is the number 1 challenge to our survival as a species. If that is the case, then perhaps Congress should give the Agency an emergency supplement that will enable NASA to perform this important climatic change research at or beyond the current level of vigor. By Keith Cowing on June 4, 2007 7:08 PM. Editor's note: People have been spoofing the film "2001: A Space Odyssey" almost since the moment it was released. This 2001-themed "fan" ad for Apple's highly anticipated iPhone is now making the rounds. Continue reading Today's YouTube videos: iPhone monolith. By Keith Cowing on June 4, 2007 5:32 PM. "Anyone connected by Internet can now see planet Mars better than at any time in history, through the eye of HiRISE, the most powerful camera ever to orbit another planet. A University of Arizona-based team that runs the High Resolution Imaging Experiment (HiRISE) camera on NASA's Mars Reconnaissance Orbiter has just released more than 1,200 Mars images to the Planetary Data System, the U.S. space agency's mission data archive." Flat Gorby - Yuri's Night 2008 Mascot? By Keith Cowing on June 4, 2007 1:41 PM. 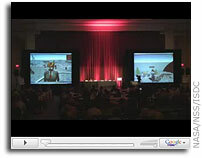 Editor's note: During the ISDC (International Space Development Conference) in Dallas last week, Flat Gorby made a number of appearances - both "in person" at the meeting and in the virtual version of ISDC in Second Life. Gorby appeared during a presentation by Yuri's Night Executive Director Loretta Hildalgo Whitesides - which also featured the Coalition for Space Exploration's Joe Mayer, and NASA's Strategic Communications Guru Bob Hopkins. 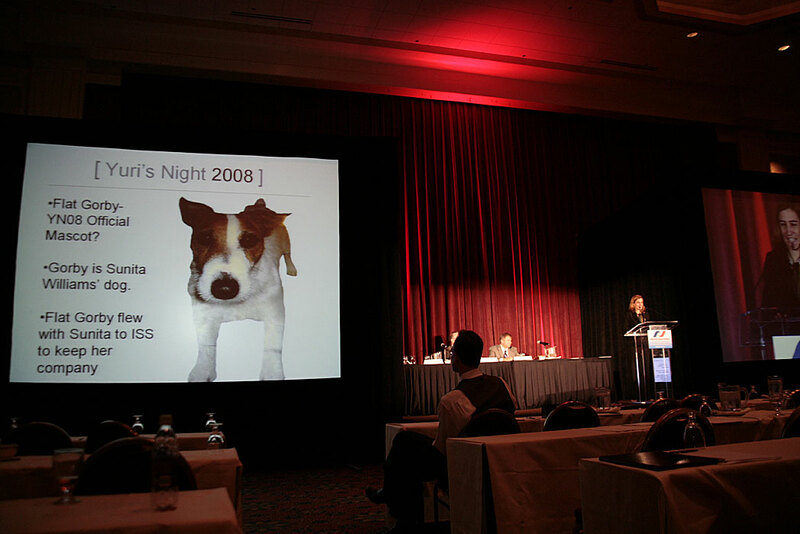 It would seem that thought is now being given to inviting Gorby to be the official Mascot for Yuri's Night 2008 (Yuri's Night organizers are recruiting volunteers for 2008). Meanwhile, a tentative concept is being floated inside NASA HQ whereby NASA would openly grab the Yuri's Night concept and do their own version. They want to call it "Footprints" and hold it at multiple NASA field centers on 20 July. They tout "Footprints" as being a "Yuri's Night for America". Gee, I thought that had already been accomplished. While NASA Headquarters is certainly to be commended for appreciating the success (and significance thereof) of Yuri's Night 2007 at Ames (and elsewhere), I am not certain if they truly understand just how such an event actually happens - at least at the scale that was seen at ARC. There was a grassroots component - one mostly independent of NASA - one, which NASA, by definition, is simply incapable of creating. A substantial portion of what went on at Ames was donated. Hopefully, NASA will decide, instead, to embrace and support existing the Yuri's Night organization (as the Coalition for Space Exploration did this year) by opening itself to these events and help these citizen-organized efforts grow and expand - fueled by citizen interest. Besides, isn't it better to open the agency up such that taxpayers can embrace it and express their views as to what they want their space program to be - rather than to create yet another NASA controlled event where NASA blasts out its own ideas of what people should think - especially at a time when NASA's messages seem to fall on deaf ears? Apply Now to be a part of the Yuri's Night 2008 Executive Team! By Keith Cowing on June 4, 2007 10:55 AM. "4 June 2007, in ROSCOSMOS, A.N.Perminov held meeting with NASA deputy-administrator Shana Dale. They discussed questions of cooperation in perspective directions of space-explorations (Moon and Mars missions) and the questions of international cooperation (in space exporations)." By Keith Cowing on June 4, 2007 10:39 AM. "The opening will take place at the NASA Goddard Visitor Center, on Tuesday, June 5th, from 7:00 pm to 9:00 pm. The Visitor Center is located off of Rt. 193, Greenbelt Rd., in Greenbelt, Maryland. In addition to the art exhibition, NASA scientists and engineers will be present to interact with the students and the public to share the wonders of the discovery of extrasolar planets, those that orbit stars other than our sun." By Keith Cowing on June 4, 2007 9:51 AM. "In early 2006, NASA asked the NRC to conduct such an assessment for the agency's Astrophysics Division. This report presents an assessment of how well NASA s current program addresses the strategies, goals, and priorities outlined in previous Academy reports. The report provides an analysis of progress toward realizing these strategies, goals, and priorities; and a discussion of actions that could be taken to optimize the scientific value of the program in the context of current and forecasted resources." By Keith Cowing on June 4, 2007 8:51 AM. "A union representing 569 space-shuttle workers at Kennedy Space Center voted Saturday to strike. The contract dispute will not affect Friday's scheduled launch of Atlantis or future shuttle missions, United Space Alliance spokeswoman Tracy Yates said." "However, if a strike does occur, USA is prepared to continue activities to safely prepare the Space Shuttle vehicles for upcoming launches by using other experienced and certified employees to perform all necessary tasks. Throughout this time, the safety of the astronaut crew members, our employees and the irreplaceable national assets at the Kennedy Space Center will remain our top priority. All safety practices and procedures will be maintained at their usual high standard and will not be compromised." By Keith Cowing on June 4, 2007 8:27 AM. "Berrien Moore, director of the Institute for the Study of Earths, Oceans, and Space at the University of New Hampshire, said Griffin's comments were "bizarre," "baffling," and "mind-boggling." "It is such a strong statement based on such a high level of ignorance," Berrien said yesterday in a phone interview. He has been a lead author in past reports from the Intergovernmental Panel on Climate Change. "It indicates he doesn't have any knowledge on the topic he's talking about. Even a cursory reading [of the research] would not support what he said." By Keith Cowing on June 3, 2007 5:15 PM. "Imagine hitching a ride to the moon on a pint-sized space probe - and experiencing every high point of the flight in real time, thanks to virtual-reality technology. If Pete Worden, the director of NASA's Ames Research Center, has his way, this dream could well become a reality - well, at least a beta version of reality - in a little more than a year." "In recent weeks, there have been scores of instances of agencies struggling in the new Web 2.0 world. Some examples are the Armys foiled attempts to silence soldier bloggers and the Defense Department ruling that YouTube and other so-called entertainment Web sites are verboten to anyone using a DOD computer. So it was interesting this past week to see a different approach from the director of NASAs Ames Research Center." By Keith Cowing on June 3, 2007 1:20 PM. "Michael Griffin, administrator of the National Aeronautics and Space Administration, is renowned for speaking bluntly so it was no surprise when he stuck his foot in his mouth during a recent interview. The disturbing element is that he may have inadvertently revealed one reason the space agency has been cutting back on satellite missions to study global warming." By Keith Cowing on June 2, 2007 9:42 AM. By Keith Cowing on June 1, 2007 1:34 PM. "U.S. Senator Kay Bailey Hutchison (R-TX), ranking member of the Science and Space Subcommittee of the Senate Commerce Committee, released the following statement today regarding a NASA report outlining the steps toward implementing the congressionally-mandated designation of the U.S. portion of the International Space Station (ISS) as a National Laboratory: "I am very pleased with the work NASA has completed in preparing this report and implementation plan for operating the International Space Station as a National Laboratory," Sen. Hutchison said. "We now have a firm foundation on which to plan for the full and complete use of the space station as it was always intended." "NASA prepared this report outlining a plan for the International Space Station National Laboratory in response to direction in Section 507 of the NASA Authorization Act of 2005 (Public Law 109-155). The specific requirements of this plan are outlined below." Editor's Note: What a fascinating concept: Congress designates the ISS as a National Laboratory - while, at the same time, NASA cuts virtually all funding for all ISS science research. What good is a National Laboratory with no research to do? Or are we making this designation for the benefit of the other nations who still fund their ISS research? 2004 Statement prepared by NASA's Office of Biological and Physical Research regarding postponement of NASA's acquisition to establish this Institute. Continue reading Nice Name, Empty Labs. By Keith Cowing on June 1, 2007 12:31 PM. "In late May, a NASA-funded robot successfully navigated one of the world's deepest sinkholes. The mission could be a prelude to a future mission to Jupiter's moon Europa, believed to contain a liquid water ocean. The Deep Phreatic Thermal Explorer (DEPTHX) is a 3,300-pound, computerized, underwater vehicle that makes its own decisions. With more than 100 sensors, 36 onboard computers, and 16 thrusters and actuators, it decides where to swim, which samples to collect and how to get home." By Keith Cowing on June 1, 2007 11:38 AM. "Pang said the Shenzhou VII spacewalk suit was designed to be like a small aircraft with a propeller allowing astronauts to move freely in space, the newspaper report said. The suit would automatically supply nourishment, oxygen up to seven hours and about 1.9 kilolitres of water, it said, adding a drainage system would let out carbon dioxide and wastewater." Editor's Note: Gee, 1.9 kiloliters (1,900 liters = 502.07 Gallons) of water. At 1kg/liter of water that's 4,188.8 pounds. That's quite a capable spacesuit - a great idea if you want to fly dolphins in space - they can even swim around (it might be a little crowded)! As for the propeller - I'm not sure how much good that will do if the suit is used in a vacuum (there's lots of that in outer space). And besides, dolphins have strong tails - they don't need propellers. By Keith Cowing on June 1, 2007 7:59 AM. "NASA and 13 space agencies from around the world are releasing the latest product of their Global Exploration Strategy discussions. The document, "The Global Exploration Strategy: The Framework for Coordination," reflects a shared vision of space exploration focused on solar system destinations where humans may someday live and work. The framework document allows for the establishment of a voluntary, non-binding mechanism by which space agencies can exchange information on their respective space exploration plans. This coordination mechanism will play a key role in helping to identify gaps, overlaps and synergies in the space exploration plans of participating agencies." Editor's 31 May Note: Of course, you'd expect that such an important document would be featured on the ESMD website - right? Guess again. Nor is it on NASA's home page or the agency's main VSE page. It does appear on the main "breaking news" page however. By Keith Cowing on June 1, 2007 7:47 AM. "It's pretty obvious that the NASA administrator was speaking about his own personal views and by no means representing or attempting to represent the administration's views or broader policy," Marburger said. "He's got a very wry sense of humor and is very outspoken." "White House science adviser John H. Marburger distanced the administration from Griffin, saying that "nobody should think that he was speaking for anyone but himself." "White House science adviser Jack Marburger said he was not disturbed by Griffin's remarks, but distanced them from President Bush, who on Thursday announced an international global warming proposal." By Keith Cowing on June 1, 2007 7:37 AM. "This is pretty big news here. The NASA administrator, Michael Griffin, I don't know if this guy is a dittohead or not, but if not, he could be. ... Michael Griffin, NASA administrator appeared on NPR and he told them that while he has no doubt that a trend of global warming exists, quote, "I'm not sure it's fair to say it's a problem we have to wrestle with." In an interview with NPR's Steve Inskeep that aired today, administrator Griffin said, "I guess I would ask which human beings - where and when - are to be accorded the privilege of deciding that this particular climate that we have right here today, right now is the best climate for all other human beings. I think that's a rather arrogant position for people to take." Continue reading Rush Limbaugh Agrees With Mike Griffin on Global Warming.